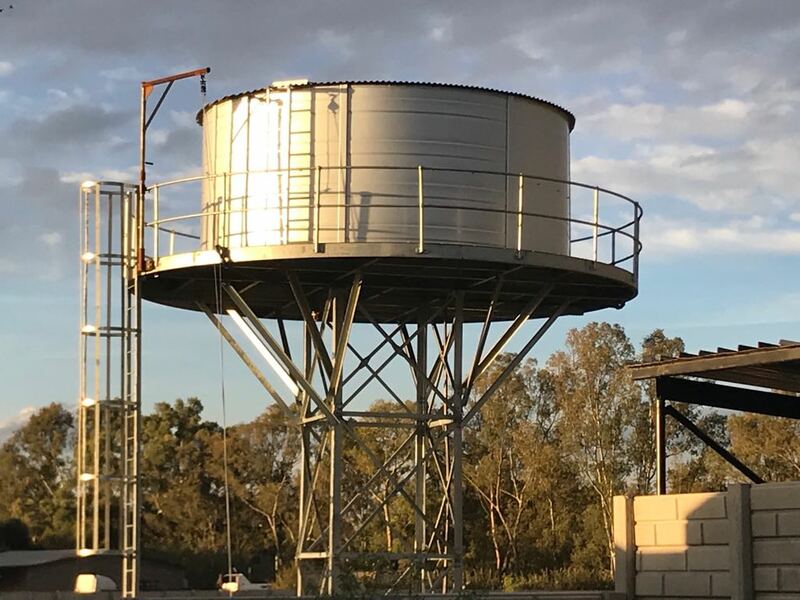 Water storage tanks are elevated either by their positioning on high ground or by their placement atop a structure capable of supporting their weight. 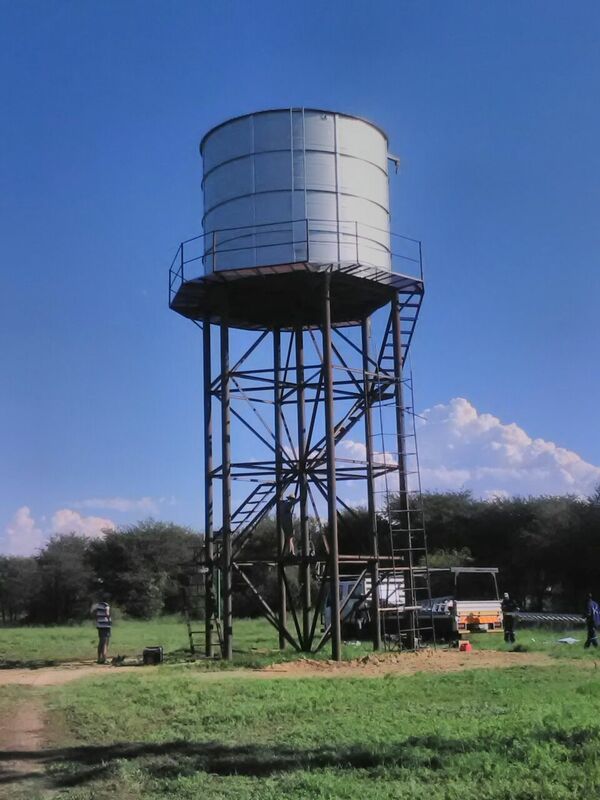 In some cases, a water-input pump may be required to fill the elevated tank. 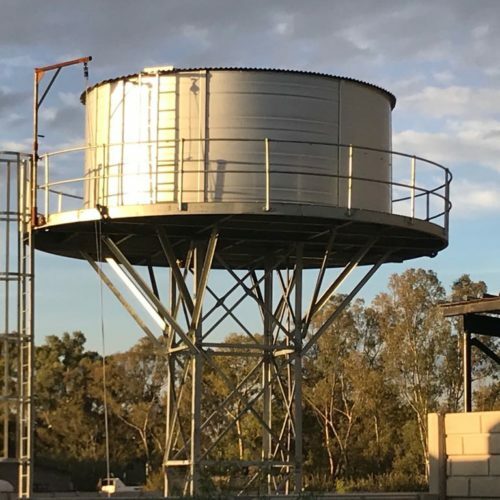 Environmental considerations – clean/green: no energy required for water output delivery. 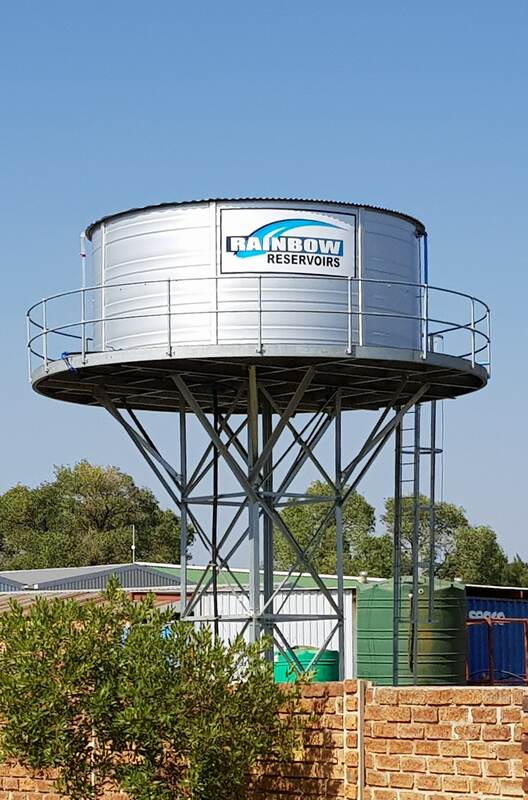 When water tanks are elevated on water tank stands at heights providing suitable water pressure, the design and strength of the steel tank stand structure is a critical consideration in terms of the weight required to be supported, safety or destruction to property should the vertical tank support structure fail, or high winds to which the tank may be subjected (the round, bolted-steel water tanks supplied by Rainbow Reservoirs offer significantly less resistance to high wind conditions than square tanks. 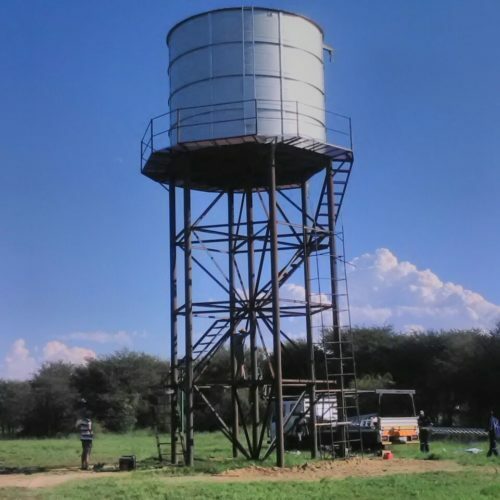 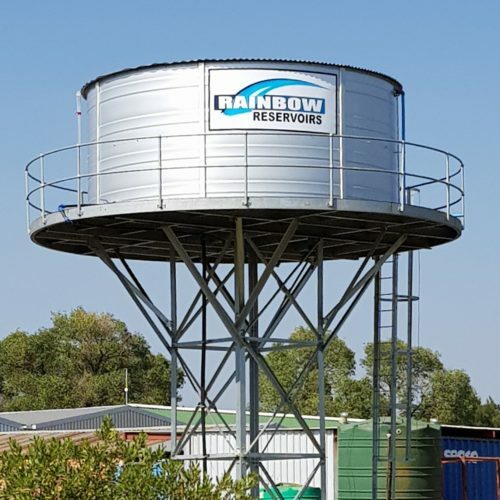 Rainbow Reservoirs is a manufacturer and supplier of certified, engineer-designed support tower steelwork and vertical water tank stands rated to safely support water storage tanks of any capacity within their HT Standard Range of tanks (in excess of 4 million litres!). 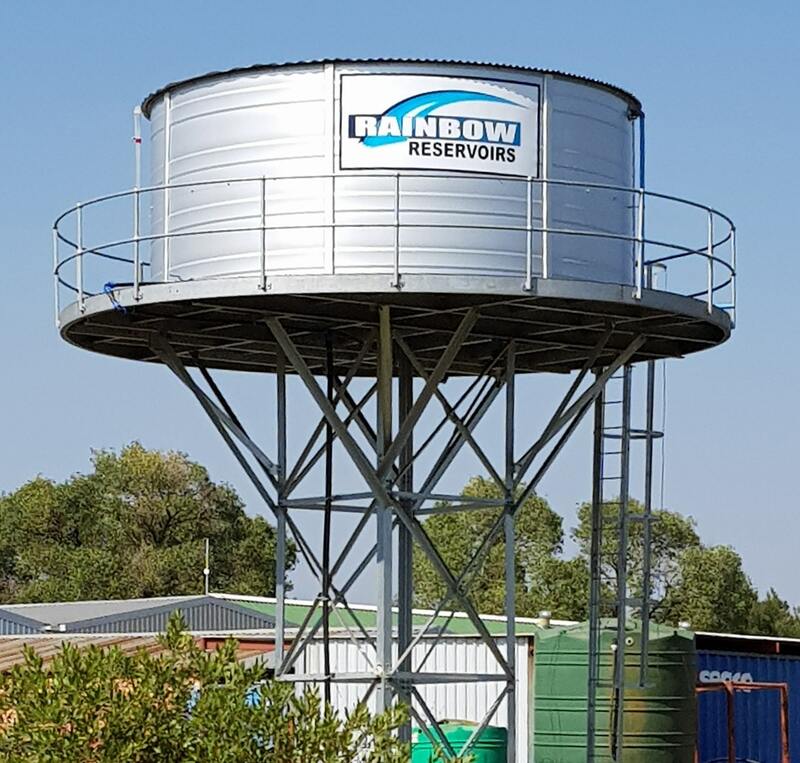 Contact us for more information on Rainbow Reservoirs elevated water tanks or steel water tank stands.